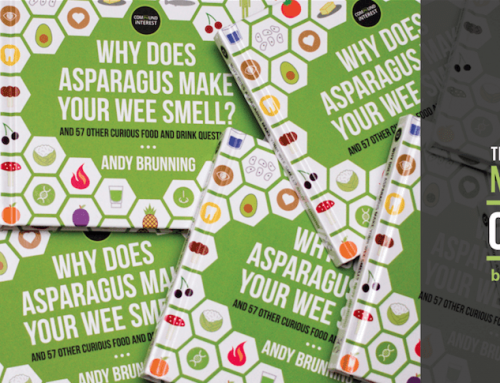 Why Does Asparagus Make Your Wee Smell? Book Cover Reveal! It’s been a while since the last news on the book, but it’s still very much on its way – and here’s the cover to prove it! It’s out in the UK on October 8, 2015, and it’s already available to preorder on Amazon here. A little more information follows if this is the first you’ve heard about it! 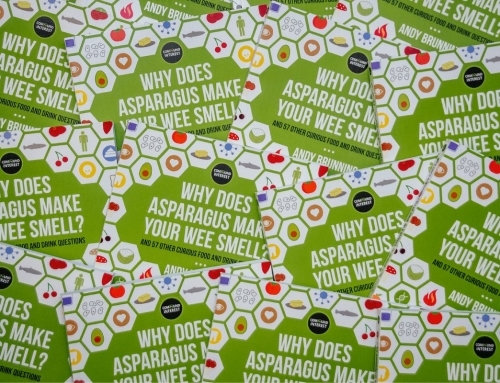 The book’s titled “Why Does Asparagus Make Your Wee Smell? 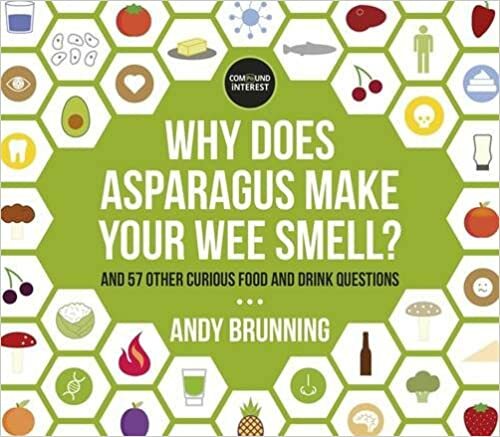 : And 57 other curious food and drink questions”, and gives concise explanations on a range of weird food and drink effects or oddities, and the chemistry behind them. 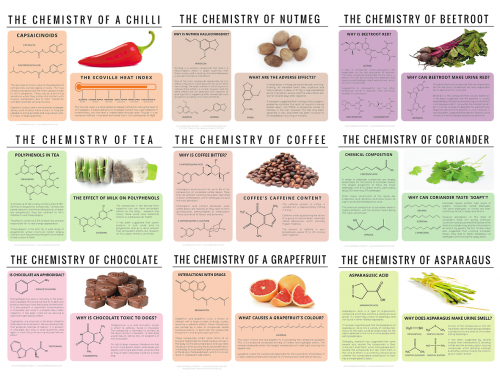 Each question is illustrated with a graphic that breaks down the key points simply and succinctly, and shows the chemical compounds being discussed. Those of you who have been following the development of the book will know that it was originally slated for release back in May, but got pushed back a little. It’s now already off to the printers, so the good news is there’ll be no more delays. 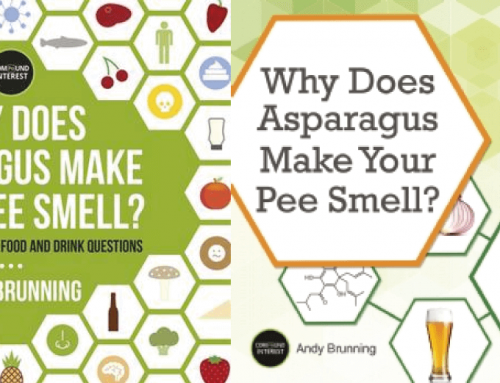 As it turns out, it’ll be nicely timed in advance of Christmas – perfect if you’re struggling for gift ideas for science or food enthusiasts! The book will also be available in book stores on its release, as well as other online vendors. The publishers, Orion, have no definite plans for overseas publishing as yet, but hopefully a little after the UK release it may well make it elsewhere. I’ll be sure to keep everyone updated! 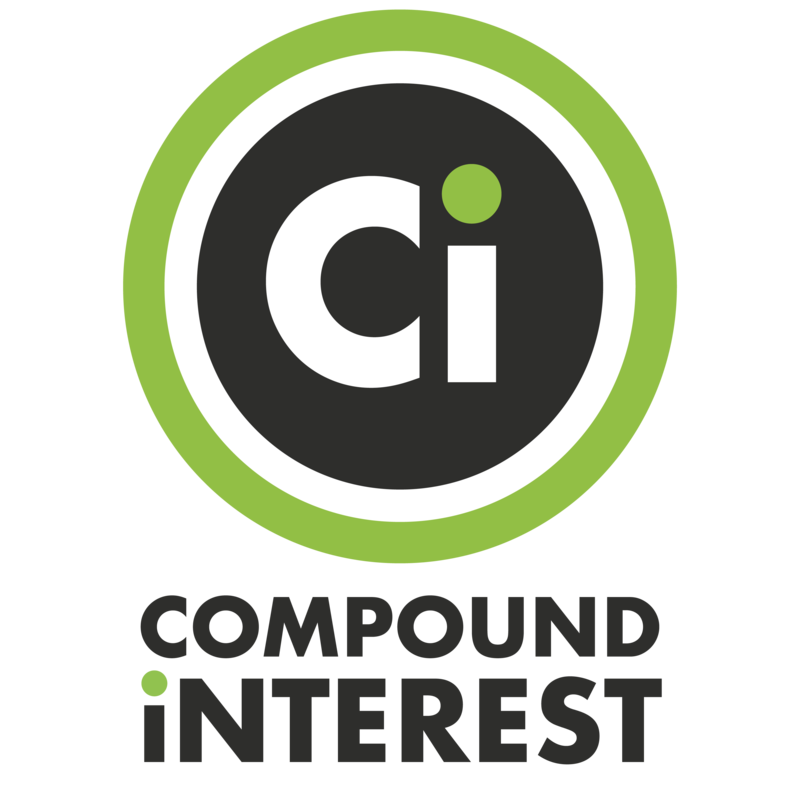 Finally, big thanks to everyone who’s a regular reader of the blog – this book wouldn’t have been possible without everyone’s enthusiasm for the site. I hope that, when it’s eventually released, it’s worth the wait!